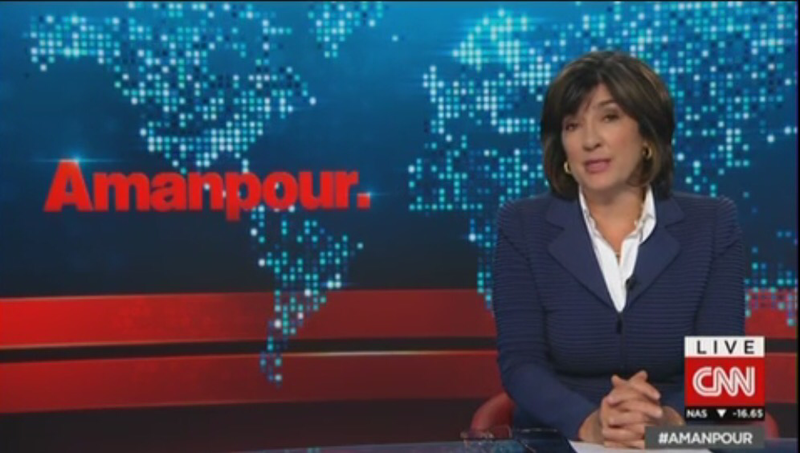 CNN International’s signature interview show, Amanpour., hosted by Christiane Amanpour, received a new on-air makeover that debuted today. There are some similarities with the update given to the International Desk two weeks ago. Still the same old, same old, same titles, same typical left wing bias Christiane being nice to the women and hating the men….and she still can’t present live tv.